Narendra Modi government is completing three years in office this week. It is time to review his achievements without attending to raucous campaign launched by the spin doctors in the NaMo camp. The campaign to present him as the eleventh avatar that demolished all ills and evils afflicting India under the seven decades is intended for the election due in two years. Hence they are projecting him as messiah for poor and downtrodden, saviour of women, particularly Muslim women and trouble maker for the better offs of the society. In addition, the road shows are being organized to present him as the lone leader on minds of Indian masses. The opponents do not matter as they were weaklings, Mamta Bannerji and Navin Patnaik are corrupt, the Anna DMK factions without Jaylalithaa in Tamilnadu are too weak, and Chandrababu Naidu in Andhra and Chandra Sekhar Rao in Telangana are too parochial. The webs of illusions are being spun for him even when the elections are two years later but his initial enthusiasm for acceleration of pace of economic development through rapid industrialisation and imparting training to educated unemployed to make them employable in other parts of universe have been pushed on back burners for the past twelve months. However prevalent circumstances do not explain the need for intense campaign as no competent opposition to challenge him is visible on the political horizons. The web spinning also indicates the strategy to shift the material for his vote bank from the traditional supporting middle class to the Other Backward class and other deprived sections. Why the shift is being worked out furiously? Political objective of shifting the vote base was at the core of his economic initiatives in the first phase also when he was enthusiastically pursuing the economic goals. The Jan Dhan Yojana was relevant to life of poor, not because it opened bank doors to them but it ensured insurance of Rs. one lakh to families of account holders as social security. Providing gas connections to replace the traditional cooking fuel medium of Chulha and smoke filled kitchens to 4 million homes in rural areas or campaign for save girls and educate them was to win over women of poor families by making the middle class families to give up the benefits of subsidies. His intense campaign for industrialization would have given benefits to only upper strata as they were only in position to take advantage of expanding industrial base. He abandoned his pursuit only because of rising resistance from within. He suddenly decided to surprise not only country but also his party with his decision to demonetize high value currency notes even though it was supposed to be directly impacting lives of only those who had money. His move was not appreciated in the party or by the mentors. It was apparent from their silence. Now it is being claimed that the measure resulted in cleansing the system of evil of black wealth. swearing in ceremony with special gifts for him to carry back home for his family members as well as getting invited to participate in the family celebration in Lahore were indicators of his earnest desire to improve relations with Pakistan. He reversed his stance and went in for surgical kill of terrorists camping over the Indian territory of Kashmir now under illegal occupation of Pakistan. Yet he maintained silence and indifferent attitude toward the prevailing unrest and spreading violence in the Kashmir valley since July last year. 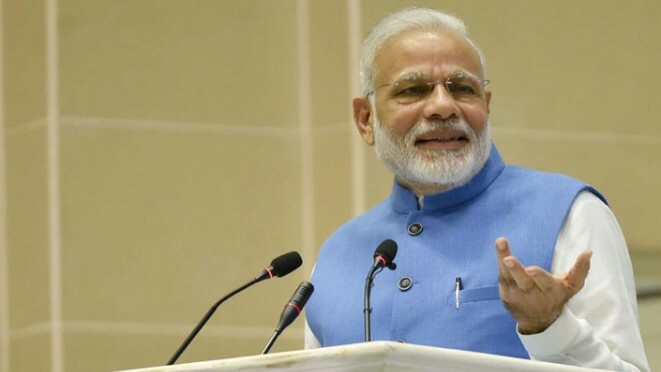 He successfully eliminated Lal Krishna Advani and Dr. Murli Manohar Joshi from race for the next incumbent for the President House with the closing election for the President of India in July. He allowed the Central Bureau of Investigation to seek permission of the court to continue the trials to prosecute both stalwarts of the BJP. He did not want to have a man who would have potential position to cause him discomfort before the next election. The verdict in the last Lok Sabha election was only and only for him and not for the party whose election symbol was used. He had transposed the traditional agenda based on three controversial issues with his new mantra of economic development by all and for all. He had certainly given hopes of a new kind of politics to educated young. He has eliminated his need of the party machinery for reaching masses as well as for political entity as middle men to reach him by shifting avenue of contacts to social media and communication channels. His measures had reduced the party to a non entity. He clearly indicated that he would follow the Gandhian path to pay him the tribute of a Clean India in 2019, the year of 150 th birth anniversary of Bapu. He usurped Sardar Patel as his icon and declared his faith in work of BR Ambedkar. He has not used derogatory remarks against stalwarts of the Congress but has not spared words to malign the current leadership as corrupt and decrepit. Yet it does not explain the need to launch a high powered election campaign two years in advance unless he has fears of his cart of apples being upturned. There is no competent personality to contest and challenge him. The Congress party has not only lost its influence and social reach but has also shrunk geographically. Its strength ebbed out not as single party but also in combines with other parties. It could win only seven seats in Uttar Pradesh assembly against 28 won in the previous election. Its performance in other by-elections was as miserable as was its performance in civic and panchayat elections. Nitish Kumar declared he had no intention of getting in the race to be the Prime Minister and Mulayam Singh’s dream was buried under the massive defeat in the assembly polls. Yet fears of NaMo for the next elections are visible on his palms. It is strange political drama.